One simple design, Sled Base Lounge Tables, that meets the expectations of many! The configurations are endless and allow you to personalize your space. 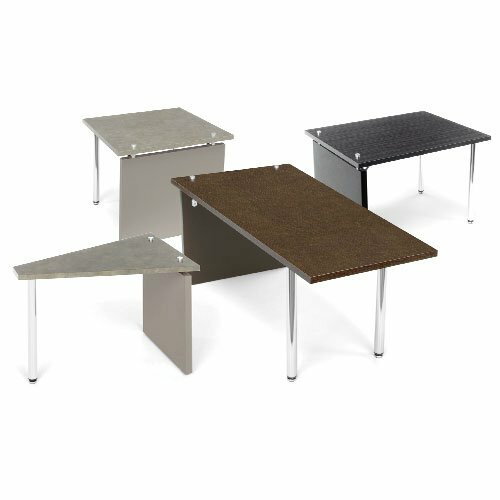 The 1.25″ thick, hi-pressure laminate tops come in 4 finishes including Cherry, Gray, Mahogany and Oak.